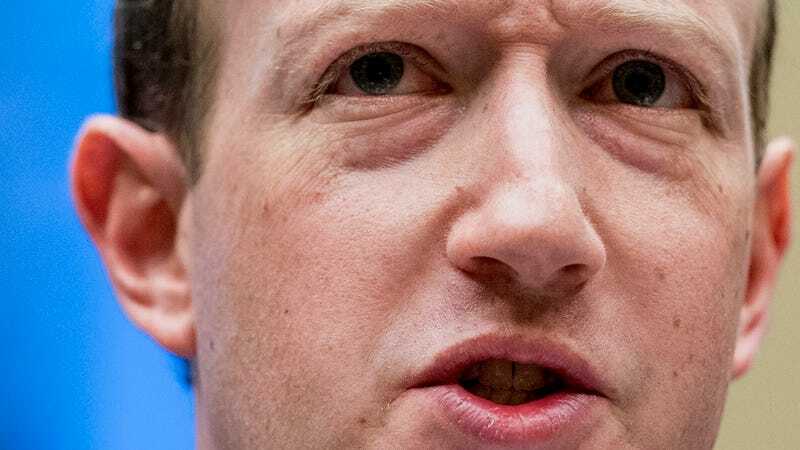 Mark Zuckerberg is scheduled to testify in front of at least eight members of the European Parliament on Tuesday about privacy, security, and election interference. The Facebook CEO’s testimony was originally planned to take place behind closed doors. But after pressure from European leaders, that testimony will now be broadcast live on the web. Antonio Tajani, President of the European Union, made the announcement on Twitter earlier today. “I have personally discussed with Facebook CEO Mr Zuckerberg the possibilty [sic] of webstreaming meeting with him. I am glad to announce that he has accepted this new request. Great news for EU citizens. I thank him for the respect shown towards EP,” Tajani said. Zuckerberg is scheduled to testify in front of the Conference of Presidents at 12:15pm ET, 9:15am PT, though it’s not immediately clear what service will be used to provide the livestream. Lefty politicians in Europe were highly critical of the previous decision not to broadcast the hearings, with a member of the Green Party vowing to use Facebook Live from outside the hearing room to publicize the fact that Zuck was testifying behind closed doors. But these DIY livestreams from outside the hearing room will no longer be necessary. Everyone will be able to see what’s being said, no matter what your opinion of Zuckerberg and his social media company. Tuesday’s meeting will consist of Mr. Zuckerberg, Mr. Tajani, and the chair of the Parliament’s home affairs committee, British Labour MEP Claude Moraes. They will also be joined by the leaders of the European Parliament’s political groups: the centre-right EPP, the centre-left socialists, the liberal ALDE, the right-wing ECR, the eurosceptic EFFD, the Greens, the Left, and the far-right ENF. Zuckerberg was initially very reluctant to testify in Europe, an area of the world where he’s received some of the most criticism. European lawmakers aren’t afraid of kicking up a larger fuss about big technologies companies because those companies are often based in the U.S. The Facebook CEO has been invited to testify in front of British Parliament multiple times, each time sending a different Facebook employee lower on the company ladder. Back on May 1st, British Parliament asked Zuckerberg to testify in front of their committee on May 24th. Zuckerberg has still declined to testify in London, though the UK government has threatened to force him to testify if he sets foot in the country. It’s not clear if Zuck has any plans to visit the UK during his European trip this week. Most American lawmakers were clearly out of their depth when Zuckerberg faced questions in front of both House and Senate committees last month. But we’ll see if the Europeans are more technologically literate and whether they’re ready to hold Zuckerberg’s feet to the fire over the outsized role that Facebook has in modern life. Facebook’s most recent round of trouble started in March, when it was revealed that the Facebook data of millions of users had been given to Cambridge Analytica, a shady research firm that used the data to help get President Trump elected. But Facebook’s reach is global, and propaganda is widespread on the service in forms both relatively harmless and downright deadly. Facebook still hasn’t answered hard questions about its role in inciting genocide in Myanmar, as just one example.